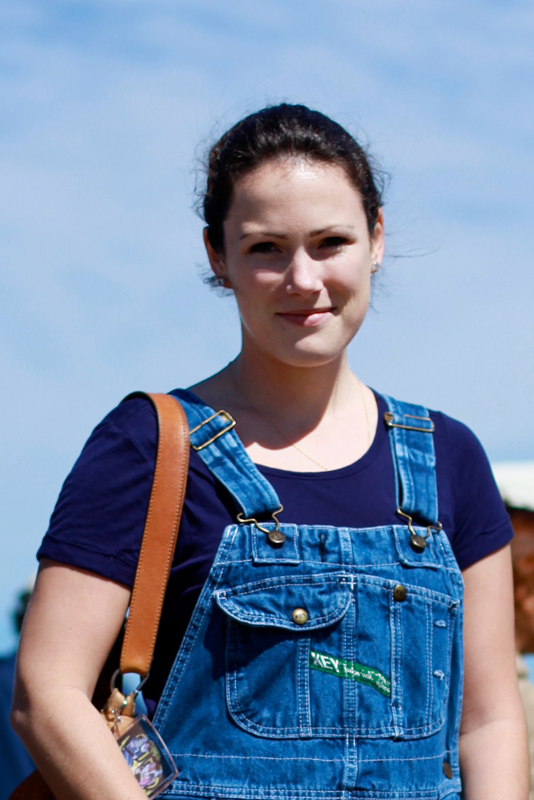 I like how put together she looks in super casual overalls. The matching leather of the bag and oxfords really step this outfit up a notch. 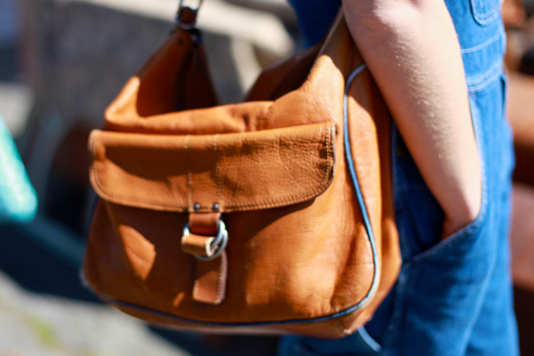 A close-up of this great leather handbag. 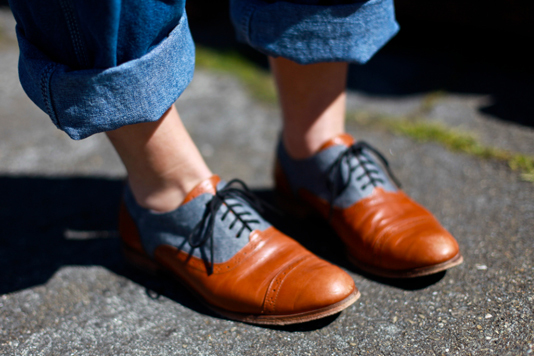 The aforementioned oxfords with her rolled-up hem. As with the previous post, names of subjects are appreciated and will be updated as I receive them. Thanks! 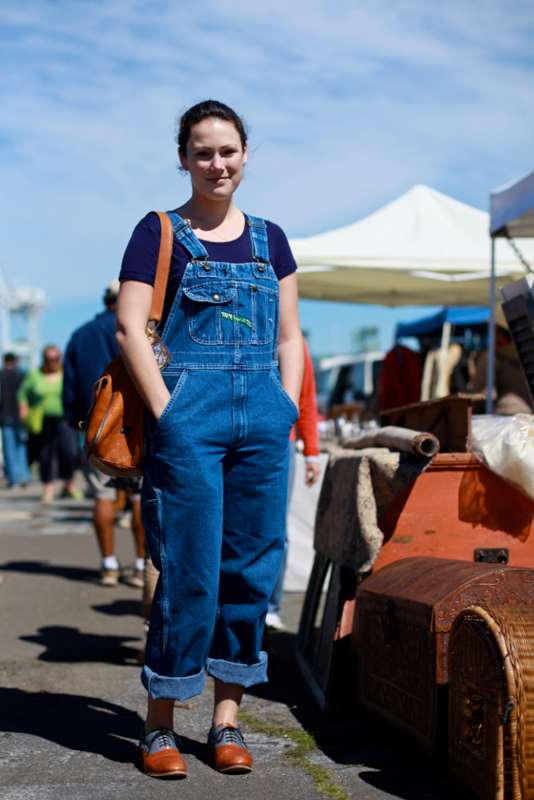 I love how she has rolled the hem of her overalls to show off those great oxfords! Perfect look for the flea market.